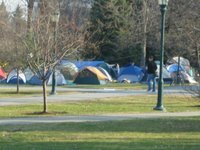 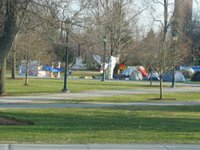 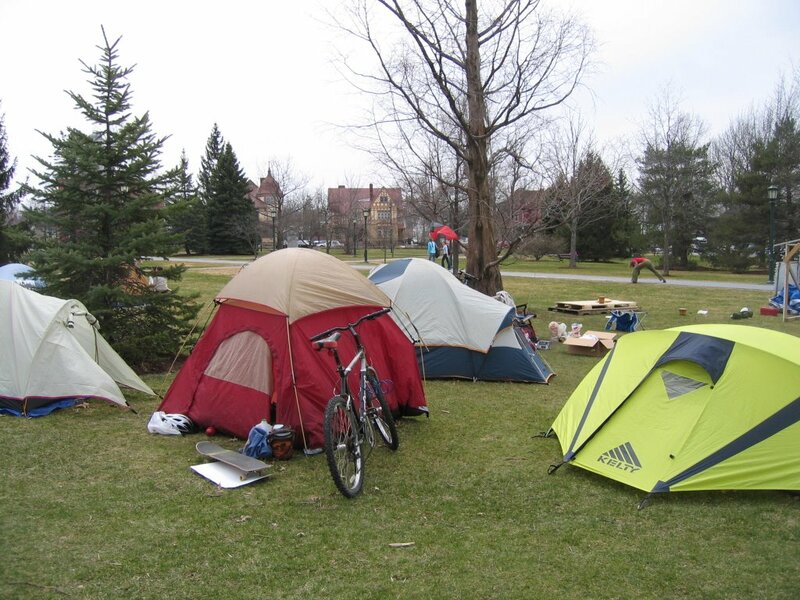 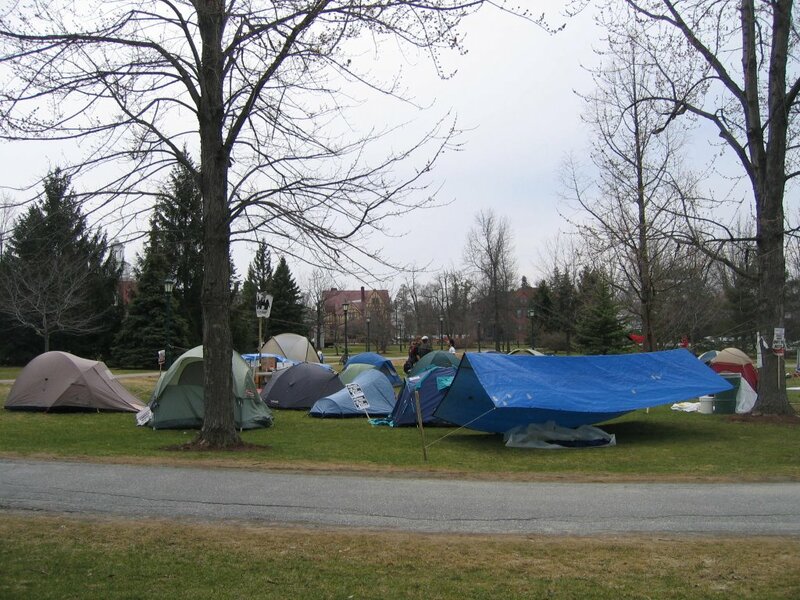 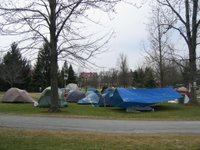 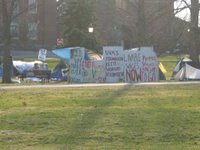 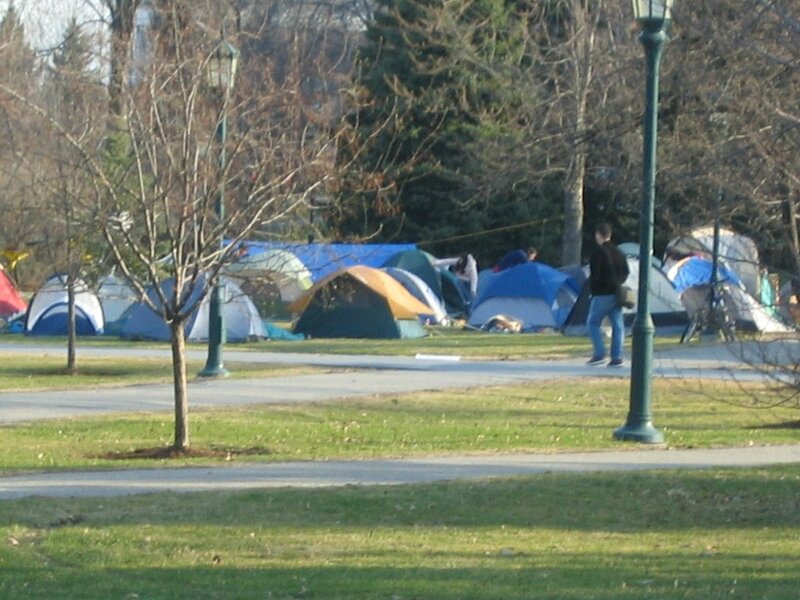 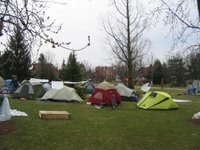 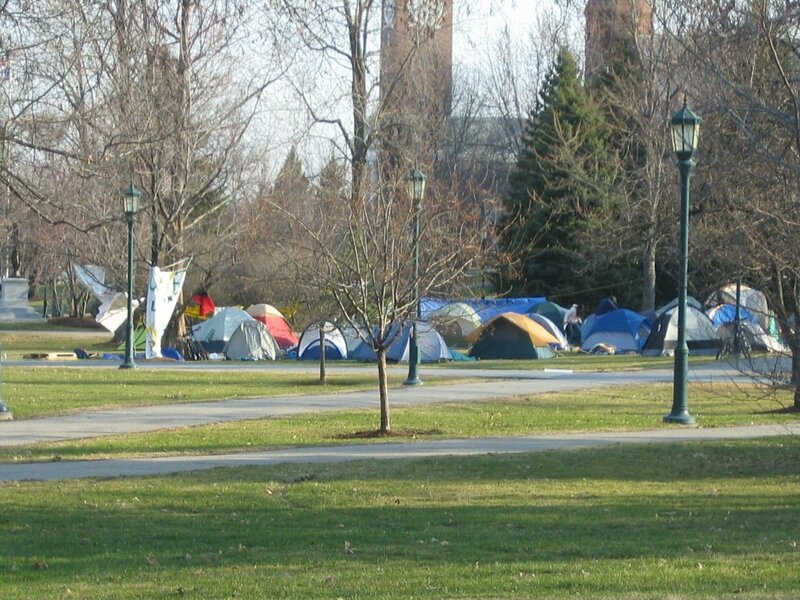 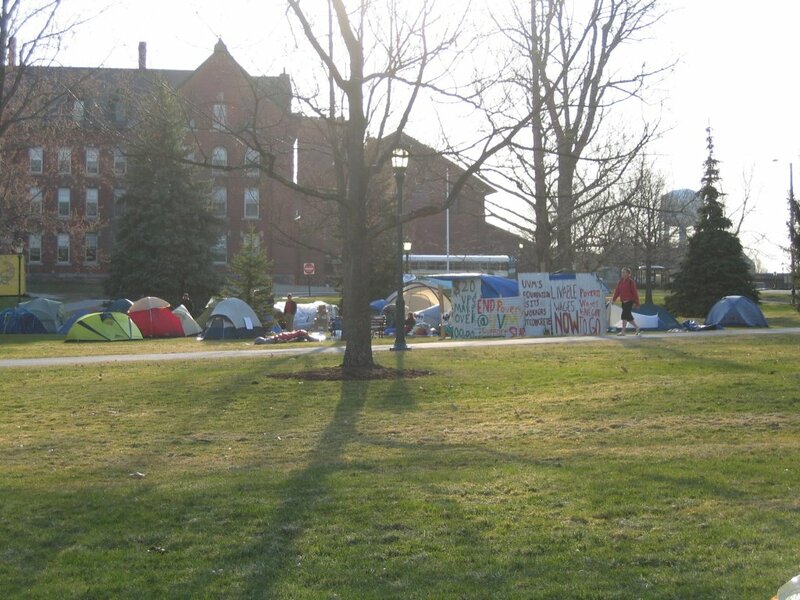 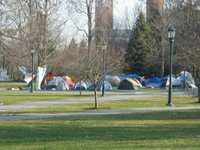 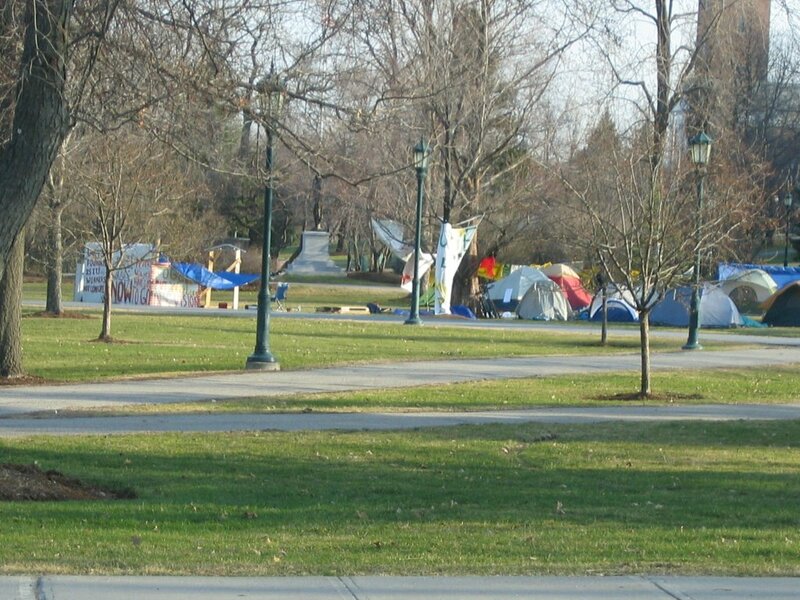 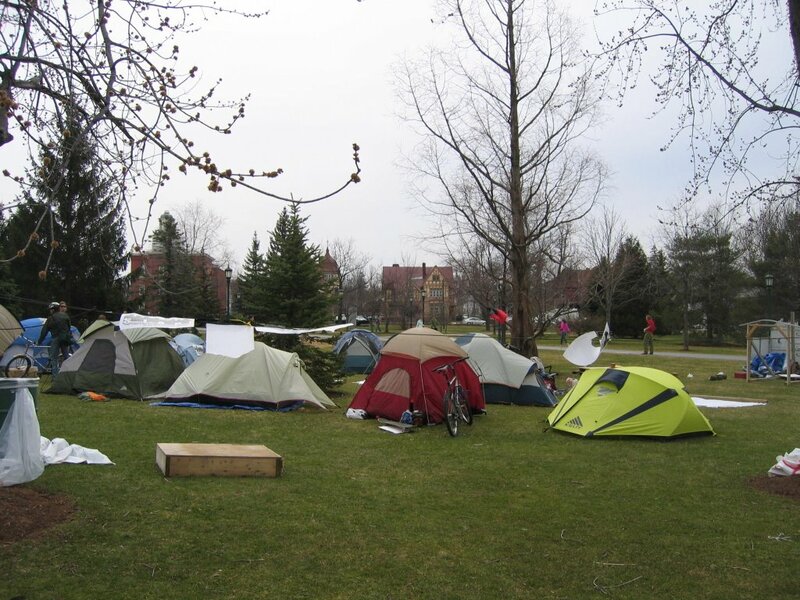 A small section of the UVM Green has turned into a campground for some protesters. 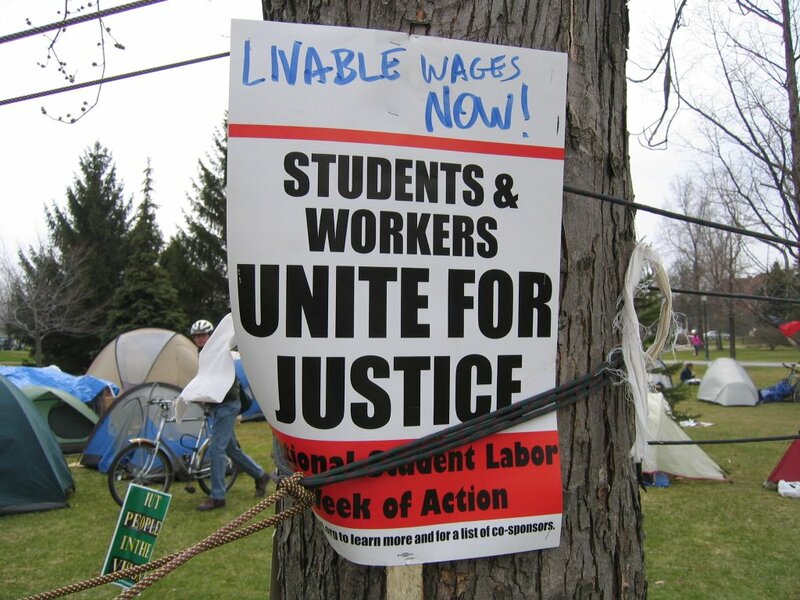 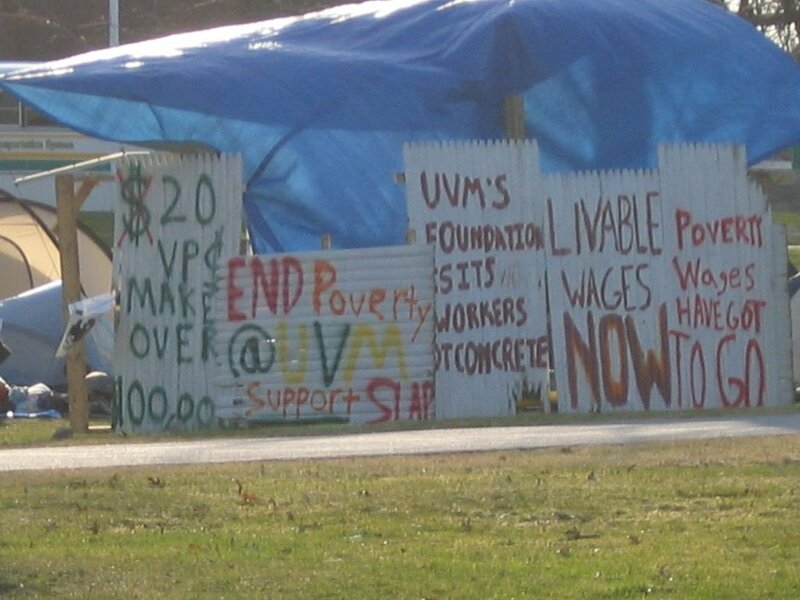 They are protesting for better wages or livable wages. 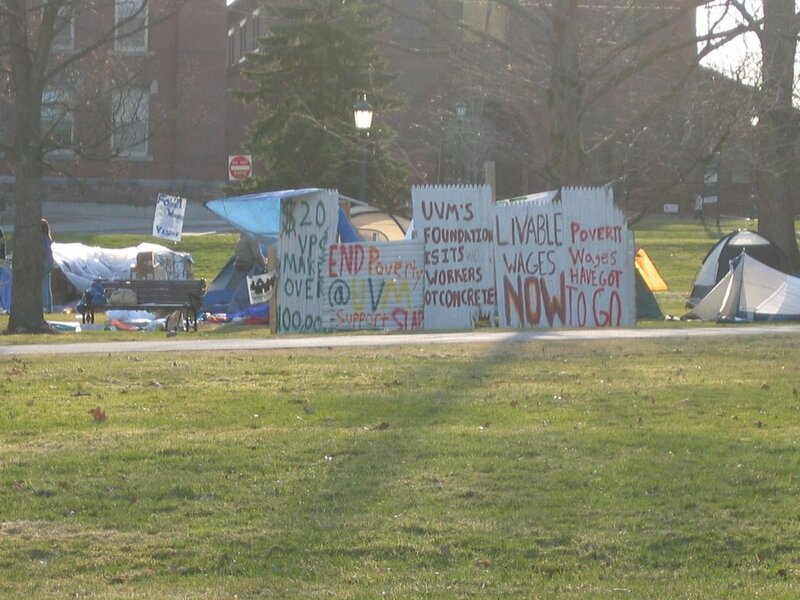 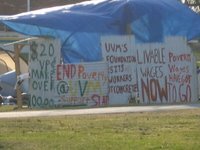 According to the report on the news, they will continue to protest until they meet with the President of UVM.